SASFED - The South African Screen Federation: Screencraft 2015 Winter Short Film Production Fund Semifinalists Announced! Screencraft 2015 Winter Short Film Production Fund Semifinalists Announced! A huge congratulations to one of our members, Sibusiso Khuzwayo (S'bu), for being chosen as a Semifinalist for the Screencraft's Short Film Production Fund! Chosen out of more than 600 submissions WORLDWIDE! Sibusiso Khuzwayo was born in Kwazulu-Natal in Hammarsdale but grew up in Nkowankowa, Limpopo. From a very young age, he dreamt of making films but the dream seemed far-fetched for someone who spent most of his childhood without a television set. Fast forward to today: he is a television director and editor who has worked on shows like Real Goboza, Big Brother, One Day Leader and 00% Youth, among others. Sibusiso only wanted to use television as a springboard to filmmaking but discovered as the years went by that film is a completely different medium. As a young person that has a hunger for telling stories but didn’t believe in his writing capabilities, so he approached friends that he believed could help him turn those ideas into a reality. Most of the friends were too busy and this forced Sibusiso to sit down and write his first short script called ‘Delusion’. He started reading screenwriting books and screenplays to develop himself and soon ‘The Letter Reader’ short script was born. Through a friend, the script landed in the hands of Marina Bekker, an acclaimed screenwriter, who took him under her wings for mentorship. Marina encouraged him to enter the script for the Screencraft Short Film production competition. The script has been shortlisted for the semifinals. 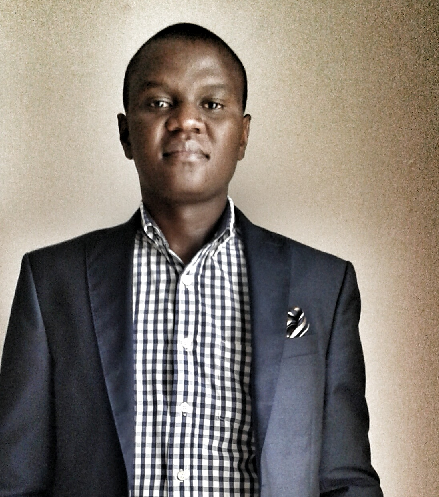 SASFED congratulates you, Sibusiso, for persevering and showing South Africans that anything is possible.